5 - 6 layers of gathered net 12" (30cm) long. 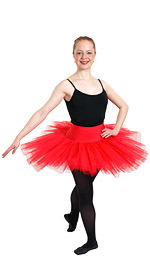 Tutu skirt with 5 - 6 layers of soft gathered net approx. 10.5" (27cm) long at size C3 reducing to 9.5" (24cm) at size C2, has attached nylon Lycra pantie with 1" (2.5cm) wide covered elastic waist. 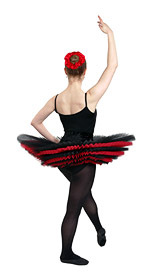 Tutu skirt with 3 - 4 layers of soft gathered net approx. 10.5" (27cm) long at size C3 reducing to 9.5" (24cm) at size C2, has attached nylon Lycra pantie with 1" (2.5cm) wide covered elastic waist. Nine layers of pleated net 12" (30cm) long max for the top layer. Attached nylon Lycra pantie with 1" (2.5cm) wide covered elastic waist. Nylon Lycra elasticated waist band. Skirt length 27 inches (68cm) reducing with size. May be worn with any leotard. Tutu skirt of pink gathered and white pleated net (no zip). Top layer of net 6" (15cm) long, seven layers altogether. Trimmed with pink and white Malibu feathers and silver sequins. Pink nylon basque (top) and pantie. 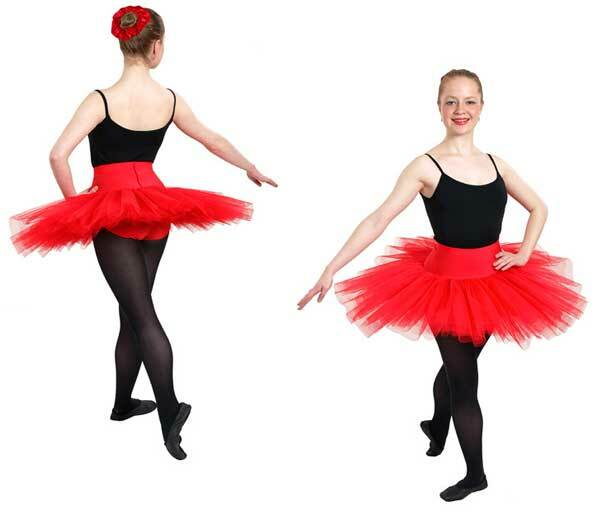 Plain velvet or nylon tutu skirt with pleated net. Illustration: Black and White net. 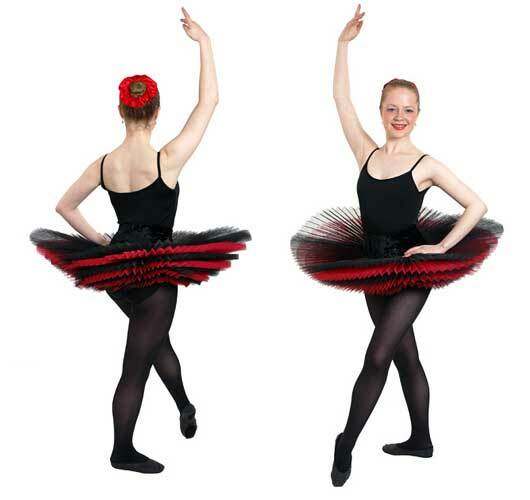 Plain nylon tutu skirt with pleated net. 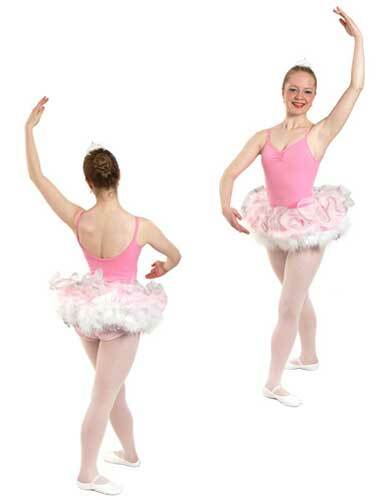 Tutu skirt only - leotard available separately. 7 to 8 layers of gathered net 12" (30cm) long. Velvet Lycra covered elastic waistband. Tutu skirt with seven layers of gathered net approx. 13 inches (33cm) long, according to the size. 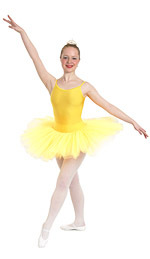 Tutu skirts are made to order in accordance with the size chart on this page.